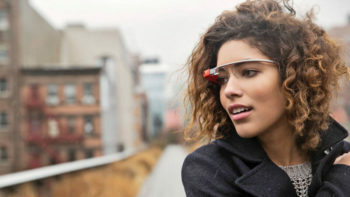 Google have taken things to the next level with the beta release of Google Glass – which is essentially a wearable computer device with a head mounted augmented reality display. When it became apparent that rumours of this device were not just true but ready for use it was a lot like stepping several years into the future! The first versions are now in the hands of a small handful of people who put their names into a lottery to win the chance of buying the $1,500 device. Essentially what Google Glass has put all of the features of a tablet device into a pair of spectacles. The frames have a camera, display, touch-pad, battery ad a microphone in built in allowing the wearer to have a cyborg like visual display right in front of their eyes! When you consider that Google Glass is pretty much a tablet or a smartphone in another form, it stands to reason that they will be vulnerable to all of the same threats. With that in mind, let’s look at some of the main reasons that you should consider using cell spy software with Google Glass. Record Surroundings – Cell phone spy software can be used to record the surrounding area of the device which could prove useful if your Google Glass is lost or stolen. Back Up Media Files – With the ability for Google Glass users to record video or audio and to take pictures on the go, there will be a demand for an easy to use back up system for these type of files. If you use a cell phone spy application these files will automatically be transmitted to the monitoring dashboard allowing you to back up your files with ease. Track Their Location – With the first wave of Google Glass being offered for $1500, it is a safe bet that when they become available for general retail release we could be looking at a price tag of somewhere in the region of $2000. That’s a pretty expensive piece of mobile equipment that is designed for use outside of the home. What would you do if they were stolen? IF you have cellphone spy software installed it will be possible to track their location via GPS allowing law enforcement to recover the device. Block Advertising – Cell phone spy software can be configured to stop access to certain websites including advertising. This will be useful in making sure that you are not bombarded by advertising when using Google Glass. Check Who Uses It & How – If you are lucky enough to have gotten your hands on the initial wave of Google Glass then everyone you know is going to want a turn! With spy software installed it will be possible for you to monitor what they are using your Google Glass for including messages sent, data recorded and much more. Building Up Evidence – If you need to prove what someone is doing for any reason, for example to report a co-worker, or to prove that they are threatening you then it can help to have a record of conversations. Cell phone spy apps have the ability to record conversations and phone calls or even text messages and emails to be used as proof. Securing Business Information – Eventually, there are going to be companies issuing Google Glass to staff for business use. Like smartphones, these devices will present security concerns and cell phone spy software can be used to address these. Protecting Your Kids – At the current price, it is unlikely that many parents will buy google glass for their kids. However, the price will fall over time and most parents never expected to be shelling out up to$500 for an iPhone for our kids yet many of us do! When kids do get their hands on Google Glass, parents are going to want to monitor them and cell phone spy software will help! Wiping Stored Data – If your Google Glass is lost or stolen then any personal information stored on the device becomes vulnerable. With cell phone spy software you can send a remote command to wipe the device before the data is misused. Protect Yourself From Others – If your partner has Google Glass, you may be concerned about your own privacy. Are they recording you without your knowledge? This is a major concern of organizations such as http://stopthecyborgs.org. With cell phone spy software you can find out if they are filming you without your knowledge. In conclusion, the benefits of installing cell phone spy software on Google Glass are similar to the reasons we are increasingly using them on smartphones and tablets – after all this latest gadget is an upgraded version of the smartphone!